VISALIA – Now that Halloween has passed and Thanksgiving is but a few weeks away, Christmas is right around the corner. And with it are all types of traditions, including music. But we aren’t talking about Jingle Bells and Rudolph the Red Nose Reindeer. Instead we are singing along to Central Valley talent, Lon Hannah and San Joaquin Junction. Playing at the Visalia Fox Theatre on Dec. 15, Lon Hannah, a founding member of Sons of the San Joaquin and San Joaquin Junction along with special guests like the Hannah family and friends and Waddie Mitchell. The Fox is inviting the community to celebrate the holiday season with their twist on your favorite traditional melodies. The Fox says this family-centered show is the newest iteration of the beloved Sons of the San Joaquin concert that became a tradition for many locals. Lon Hannah grew up singing in church with his father and uncle in the Central California Valley. After being involved in local musical theater and playing in various musical groups, in 1987 Lon approached his father and uncle with the request that they sing some cowboy songs for his grandfather’s birthday celebration. Sons of the San Joaquin were born, and for over 30 years they toured extensively throughout the world. 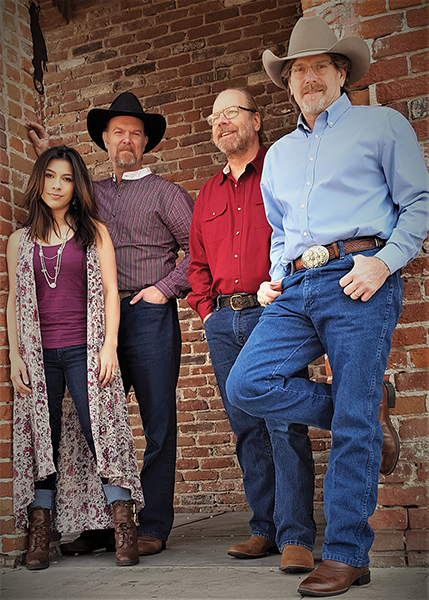 Their uncanny vocal blend and true love of Western music made the Sons of the San Joaquin the barometer for all Western harmony groups and Lon Hannah continues that legacy with San Joaquin Junction. In on the band is the talented Dalisay Johnson who began playing fiddle at age six. She is a five‐time California State Fiddle Champ, and has performed with Buck Owens on multiple occasions and plays in several central California bands. In addition, Dalisay Johnson has played her marvelous fiddle on dozens of concerts for Sons of the San Joaquin. Dan Kehler has had a passion for music since an early age. After earning his Bachelor of Arts degree in music where he was greatly influenced by strong classical and jazz emphases on the upright bass, Dan got hired on to play bass for a reunion tour of the original members of the New Christie Minstrels. A love for traditional American music quickly followed, and a short time later, Dan was playing bass with the band. He is known for not only being an excellent bass player, but also a composer in the film and video industry and has won four California ADDY Awards. Keith Hamm is a guitar and dobro extraordinaire and together they are – Lon Hannah & San Joaquin Junction.